Well it&apos;s official. Chrysler has just released the full details on its 2011 Dodge Grand Caravan, and it will be packing the company&apos;s all-new Pentastar V6 engine under the hood. Dodge is claiming that the minivan is sporting a revised suspension design that will make the vehicle more responsive to the driver. Going along with the new engine is a six-speed automatic transmission, leaving this engine and transmission as the only powertrains offered on this year&apos;s model. Together, they are set to produce about 283-horsepower and 260 lb-ft of torque. The biggest change is in the interior design. 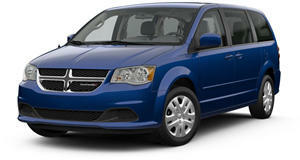 Chrysler has used top-notch materials, better seats, and has also redesigned a host of gauges. The front fascia has also been given a minor restyling and now features the brand&apos;s new logo.